Instead of having a ridiculous amount of brushes to choose from, here is one that does it all. Nylon brushes are better for softer waxes that are designed for warm temperatures, but lack the brute strength that brass has for harder, cold temperature waxes. 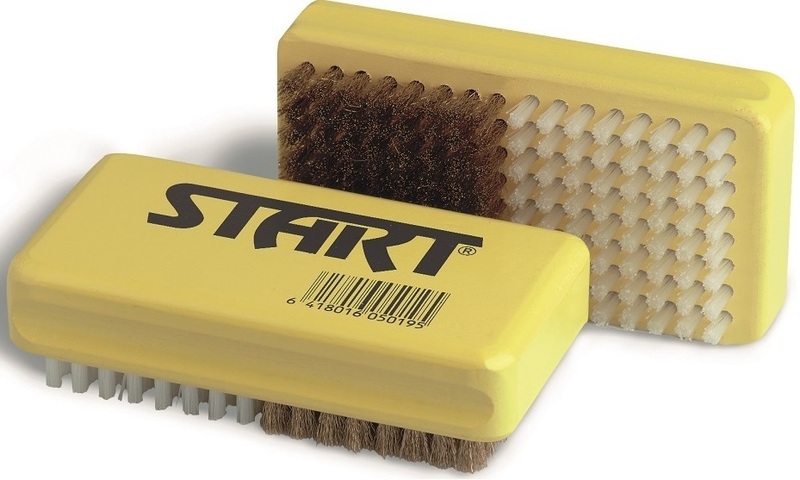 That’s why the Start Combi Brush was born. Containing 50% Brass, 50% Nylon, the Combi Brush works 100% of the time, every time. For use after scraping most of the wax off using an acrylic scraper.